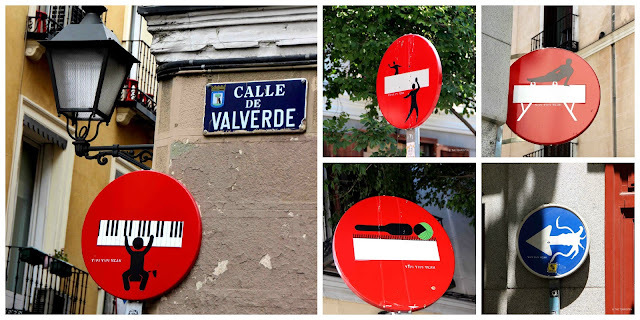 There are a so many sights to see in Madrid but as so very often on my trips I am fascinated by the street art. It can be gone tomorrow whereas I expect the Palacio Real to be there the day after …. Street Art in Madrid is not (yet) as massive as it is in other European cities or in Melbourne, Australia. Nevertheless while I discover more and more of the street art of Madrid, it feels like meeting old friends. There are pieces by artists I have seen in other places before and a lot of the artwork I see seems to be inspired by existing street art. a smile on your face, and it can lead to self-reflection or even trigger a discussion about political affairs. Hunting for street art is also a relaxing experience, even if you are in the middle of a noisy capital city. 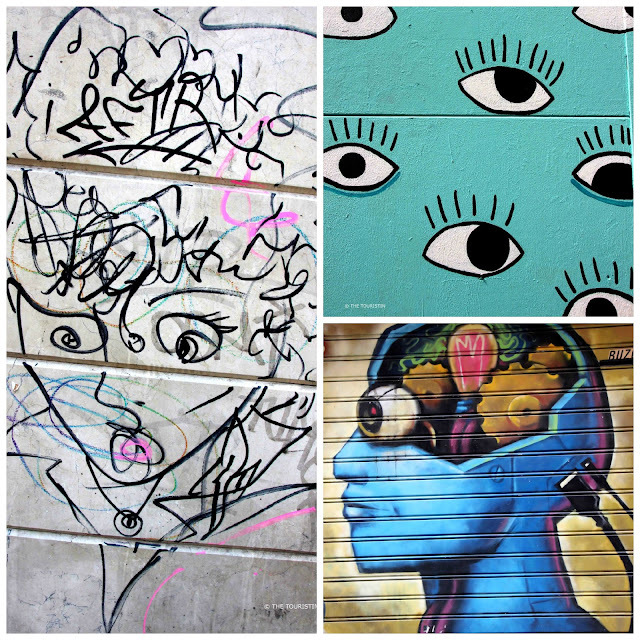 Looking at street art most certainly favours a direct understanding of life in that place. 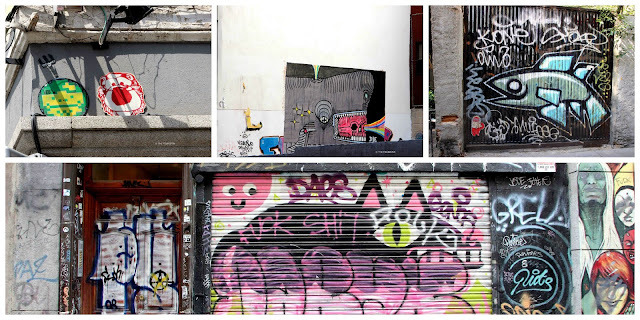 I roamed the streets of Chueca and Malasaña, and Lavapiés for days on end and found lots of exciting and fabulous street art. The art I saw is by Yipi Yipi Yeah, Alonso, Wolf, Por Favor, Bloo And Titi, Shepard Fairey, Curruncho Mola Mucho, Dingo Perro Mudo and El Rey de la Ruina. To me it is so sad that I don’t know who the other artists are. If you recognize some of them, please be so lovely and let me know since I would love to credit their work in my article. 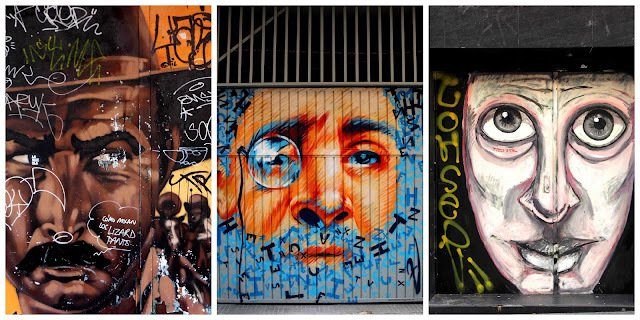 Would you like to look at more street art from around the world? Read more about my Madrid adventures in Four exciting boroughs with four fantastic markets and Which secrets are best kept by Madrid’s nuns? Do you like street art? Do you know who the artists are? Where is your favourite city to look at street art? Can’t wait to hear from you.